BeritaDEKHO - Away from the arc lights that accompany China's OBOR project+ , India has been quietly working on creating connectivity grids in its neighbourhood and moving beyond physical connectivity to energy as a tool of connectivity. From Indonesia to Mauritius, India is working on a web of energy relationships that seeks to leverage India's position as a big source of petroleum products, sharing of technology and building inter-dependencies. "We are trying to use energy as a means of diplomacy in a very different way, not only to find overseas sources of hydrocarbons," Dharmendra Pradhan, energy minister said to TOI. Mauritius, one of India's closest partners in the Indian Ocean region could become a hub for petroleum storage and bunkering for which India has started building infrastructure. India already supplies petroleum products to Mauritius from Mangalore refineries as well as being a retail player in that country. As a petroleum hub, Mauritius' can secure its own energy supplies, while India can use it to market in other parts of Africa. On the other side of the Indian Ocean, India and Indonesia are beginning an energy relationship -- Indonesia is one of the world's bigger sources of hydrocarbons and has been in and out of OPEC. But after power minister Piyush Goyal restarted an energy dialogue with Indonesia in April, India is working on a new project -- to build floating storage and regasification units (FSRU) for Indonesia to help it supply energy to the thousands of islands in the country. In return, India is asking Indonesia to supply LNG kits for Indian transport vehicles. After his visit, Goyal was quoted as saying, "(we) have agreed to explore cooperation in number of areas such as upgrading of refineries in Indonesia, relocation of gas-based plants from India to Indonesia, sharing of experience in use of LEDs and renewable energy in India, sharing the expertise of Indonesia in gasification of fuel oil, exploration of oil, gas and coal fields," Goyal said. Indonesia has asked India to bid for refineries in that country, which is the next stage. Myanmar may have its own energy sources, but China takes almost 80 per cent of its gas through a pipeline deal struck years ago. As Myanmar develops, India has taken up the job of supplying diesel to this eastern neighbor from the Numaligarh refinery in Assam. India, however, is seriously considering building an LNG terminal in Sittwe - that would be used to provide energy products to Myanmar, and, once the Kaladan multi-modal transport project is complete, can also be used to supply LNG to Aizawl in Mizoram. 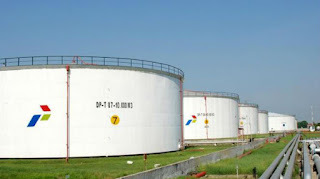 India is also trying to get into LPG storage and distribution in Myanmar, although the Aung San Suu Kyi government canceled a tender won by India but had been given by the former military government. The idea here, as in other neighborhood countries, said official sources, is that India wants to develop inter-dependencies, rather than make these relationships either extractive in nature or a one-way street. That way, both sides can take home wins which also makes these deals more acceptable all around. For India to use energy as a diplomatic tool, there has to be huge development on its eastern seaboard. Almost all of India's new energy relationships are part of its Act East policy and with eastern neighbors, since the west is largely blocked off due to India's problems with Pakistan. To address this, India is working on building LNG terminals in Ennore, Vizag/Kakinada and Dhamra all on the east coast. In recent weeks, India has cemented big energy relationships with Sri Lanka and Bangladesh. In Sri Lanka, India has fully utilized the Trincomalee lower tank farms, of which 10 are exclusively for the use of the Sri Lankan government. Consulting company, Pricewaterhouse Coopers (PwC) has been tasked with working out a business development model for the upper tank farms for which the lease has just been extended to 99 years. Bangladesh is emerging as the poster child for neighborhood ties. From syncing gas grids to supplying diesel (to Parbatipur) to building pipelines and gas-based power plants India plans to help Bangladesh power up. In the process, Bangladesh is allowing India to use transit facilities and even the Bangladesh grid to supply to India's northeast. A recent unusual quid pro quo was electricity supply from India in return for Bangladesh giving internet bandwidth to India's northeast. India is working on building a 7.5 mmt LNG terminal in Qutubdi island off Bangladesh's coast, while Bangladesh is already lighting up with over 1000 MW power from India. Nepal did not have power cuts last winter, thanks to power supplies from India, Nepal's ambassador Deep Upadhyay said. The new effort is to build an oil pipeline from Raxaul to Amlekhganj and onward to Chitwan - this would not only be cheaper, but Nepal is insured from phases of poor relations with India which could disrupt energy supplies. As part of BBIN, an electricity sharing MOU between India, Bangladesh Bhutan and Nepal is also in progress, which could allow Bangladesh to source power from Bhutan, or Nepal once the Himalayan country can get its act together to build more hydropower projects.